Calling The Claridge home might find you waking from dreams of glamorous gowns sweeping the dance floor at one of the city’s premier galas of years gone by. 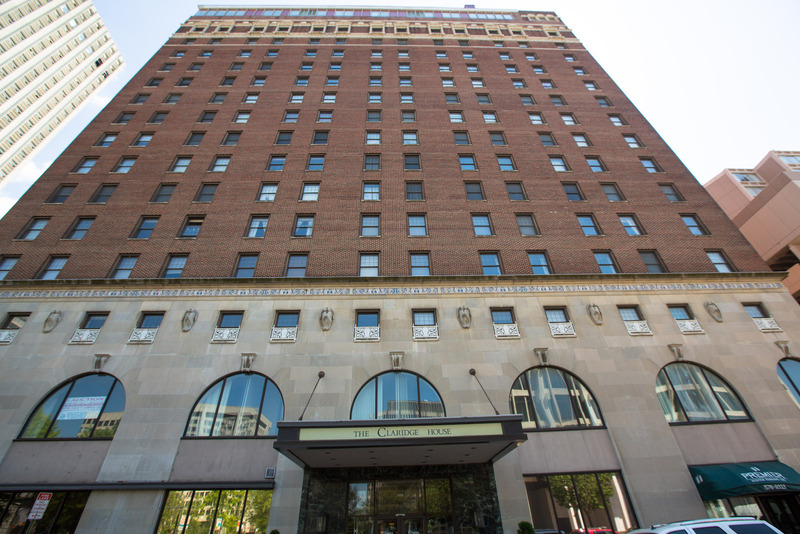 Built in 1924, this beautiful and historic building once housed the 400-room Hotel Claridge. At 17 floors it was the city’s tallest hotel. The elegant Balinese Room and Cascade’s Roof played host to many of the great performers of the day, from the Tommy Dorsey Orchestra to Elvis Presley. The hotel was the center of Memphis social life for decades, until the decline of Downtown led to the closing of The Claridge in December 1968. But much like the story of Downtown Memphis, rebirth was on the horizon. The building sat vacant until 1980, when it was bought, renovated and reopened in 1984 as Claridge House Apartments. It was added to the National Register of Historic Places in 1982 as Hotel Claridge for its architectural significance from the period of 1900 to 1924. A 2004 renovation marked the building’s conversion into its current setup for luxury condos. Today, The Claridge features 158 luxury condominiums with 37 distinct floor plans, including studio, one bedroom, two bedroom, townhouse loft and penthouse units. 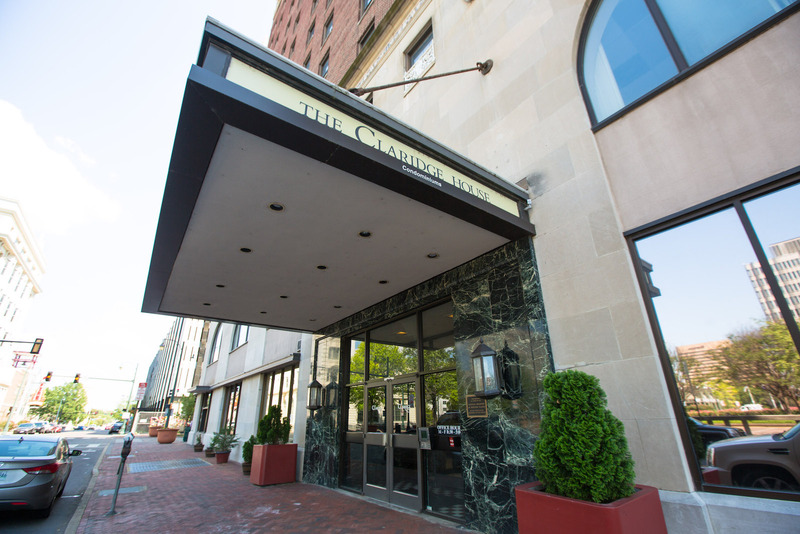 Harking back to its days as luxury lodging, The Claridge features several amenities that might as easily be found in a boutique hotel.